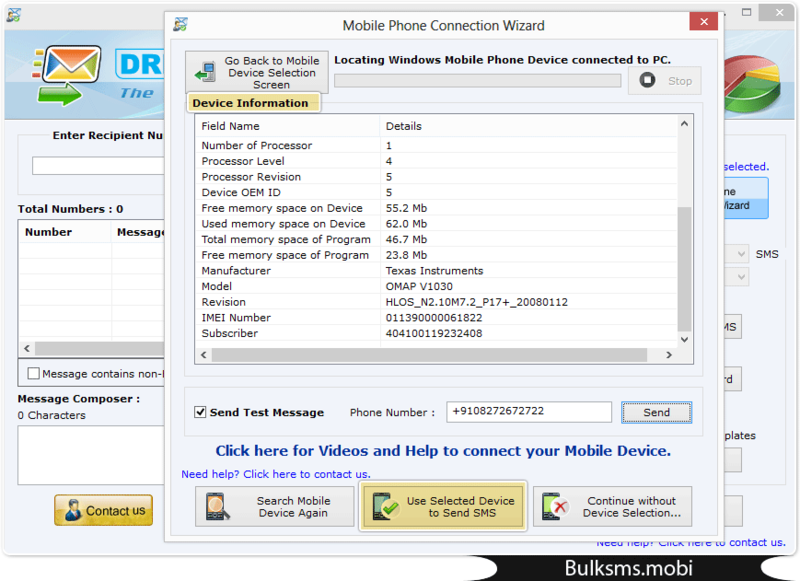 Wizard shows device information connected to PC. 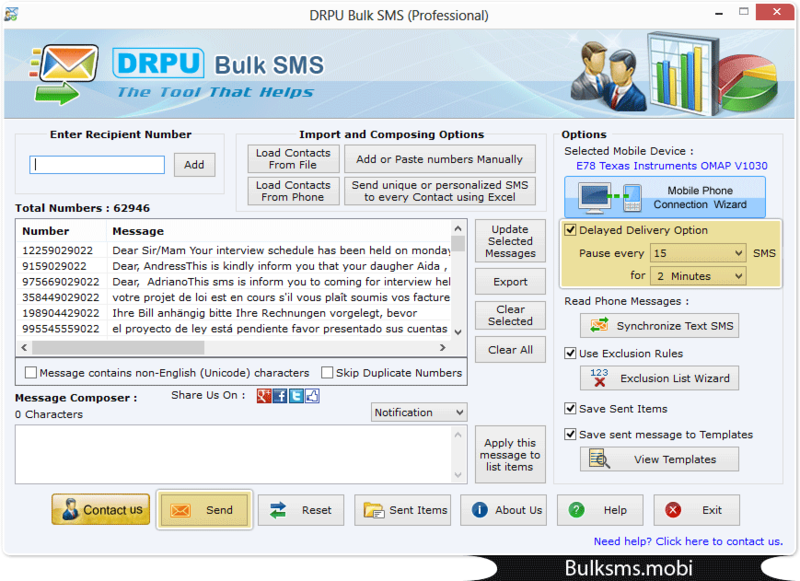 Load contact numbers from import and composing options. 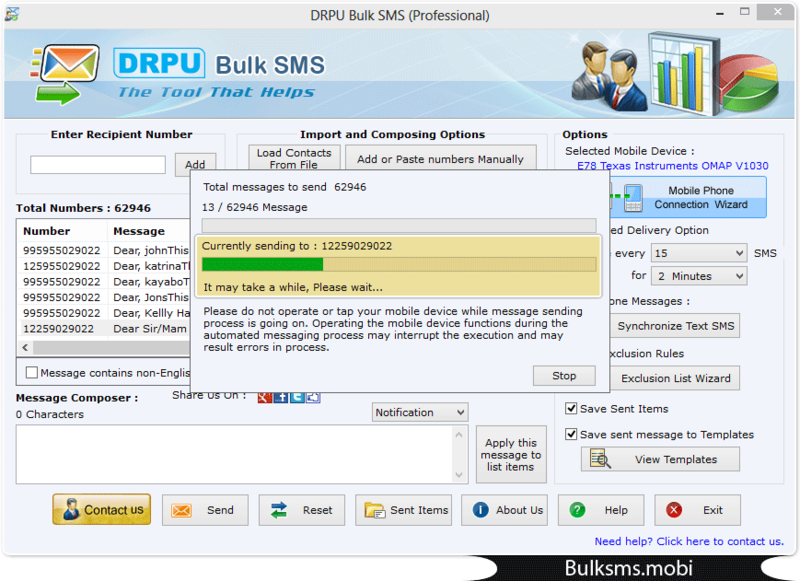 Enable delayed delivery option and click on “Send” button to send messages. Screenshot display progress bar of message sending process. Above screen shows sent item list wizard. 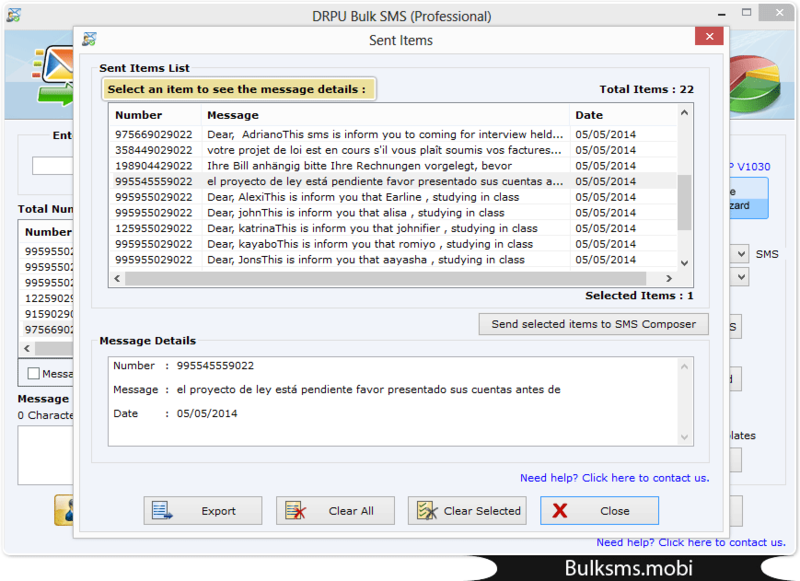 Select an item to see message details.